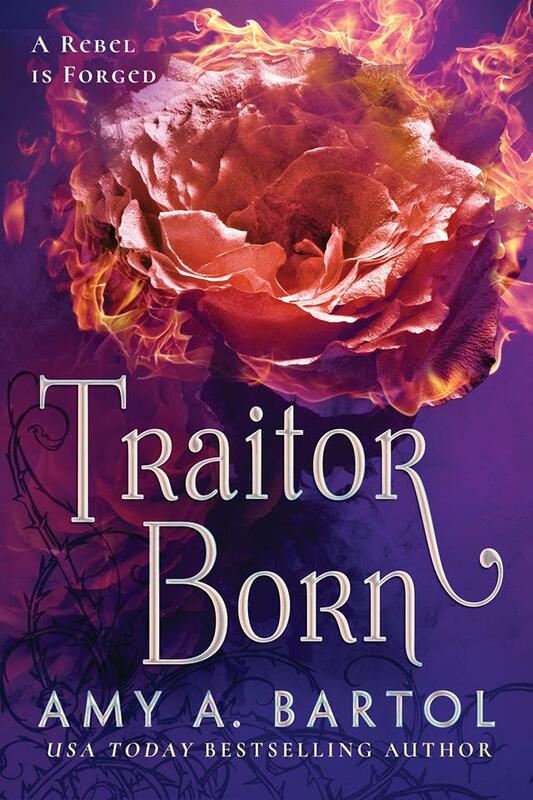 Amy A. Bartol is back with TRAITOR BORN—the second, propulsive installment in the Secondborn series. This sci-fi follow-up is as ambitious as the first with deepening layers of duplicity and more characters and alliances to keep straight, but once I hit my stride and recalled the various connections, I was able to lose myself in the story and in Amy’s addictive style of storytelling. Secondborn Roselle St. Sismode finds herself at the center of a warring caste society where firstborns hold all the power, secondborns serve, and thirdborns are callously killed. Her mother wants her dead, the Rose Garden Society wants her in power, and the rebels need her to decimate the entire system at its core. With whispers and secrets trailing her every move, a misstep could shatter carefully wrought plans, or worse yet, her death and that of those she loves. In this novel, Roselle is kept at the Halo palace, under care of the Virtue. Activity is escalating from all sides, more lives perished as a result. Without a family to count on, Roselle searches for an anchor… a role that Hawthorne, Reykin or Clifton would enthusiastically take on. Her relationship with these three continue to evolve in the novel, as she explores her feelings amidst her tumultuous reality. Book 3 will crown a clear victor when it comes to Roselle’s heart and I can’t wait to see who she’ll end up with—reveling in the romance is admittedly my favorite part in sagas such as these. As the action unfurls, the world building crystallizes further with new developments, and the tension ratchets to a shocking, jaw-dropping climax I didn’t see coming. EPIC. Overall, this was a fast-paced, action-packed second book and you will not be disappointed. I love how Amy draws you into the story, every single time, leaving you hooked, invested and clamoring for more. TRAITOR BORN is no different… bring on REBEL BORN!